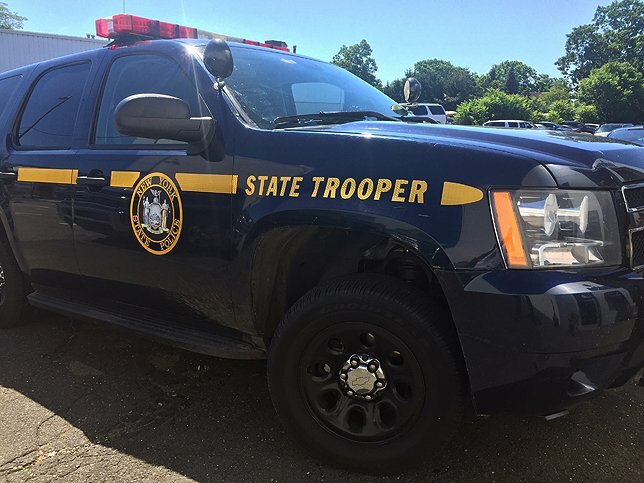 NYS Police reports a wrong-way 3-vehicle crash on the Wantagh State Parkway. Wantagh, NY - December 18, 2018 - On Tuesday, December 18th, 2018 at approximately 10:22 p.m. a vehicle was traveling northbound in the southbound lanes on the Wantagh State Parkway and struck one vehicle head-on and a third vehicle was unable to avoid the original collision. Vehicle 1: Driver, Burgess E. Moore, 82 of New Britian, Connecticut, was reported missing to New Britian Police Department and suffers from dementia. Moore was driving 2012 Subaru Legacy northbound in the southbound lanes on the Wantagh State Parkway. Moore was transported to Nassau University Medical Center with facial injuries and a broken hip and he is in critical condition. Vehicle 2: Driver, Richard Hurwitz, 48 of Long Beach was traveling southbound on the Wantagh State Parkway in 2007 Toyota Rav 4, and was struck head-on by Mr. Moore’s vehicle. Hurwitz was also transported to Nassau University Medical Center for neck and back pain. Vehicle 3: Driver, Vincent Diaz, 20 of Levittown was traveling southbound on the Wantagh State Parkway in a 2003 Saturn Vue and struck the back of vehicle two after vehicles one and two hit head-on. Diaz and front passenger Dennis Riley, 21 of Levittown were both taken to Nassau University Medical Center with minor injuries. The Wantagh State Parkway was shutdown southbound between Sunrise Highway and Merrick Road during the investigation. All lanes are now reopened. This is an ongoing investigation. Anyone with information witnessing the accident is asked to contact the New York State Police at (631) 756-3300. Subject: LongIsland.com - Your Name sent you Article details of "Police: Missing 81 Year-Old Driver with Dementia Causes 3-Car Wrong-Way Crash on Wantagh Parkaway"